For other uses, see Macedonia (disambiguation) and Macedon (disambiguation). Macedonia or Macedon (from Greek: Μακεδονία, Makedonía) was a kingdom in ancient Greece, centered in the northeastern part of the Greek peninsula. The homeland of the ancient Macedonians, it was bordered by the kingdom of Epirus to the west, Paionia to the north, the region of Thrace to the east. and of Thessaly to the south. For a brief period, after the conquests of Alexander the Great, it became the most powerful state in the world, with borders including the whole of Greece and as far as India; at that time it inaugurated the Hellenistic period of world history. The first Macedonian state emerged in the 8th or early 7th century BC under the Argead Dynasty, who, according to legend, migrated to the region from the Greek city of Argos in Peloponnesus (thus the name Argead). It should be mentioned that the Macedonian tribe ruled by the Argeads, was itself called Argead (which translates as “descended from Argos”). Its first king is recorded as Perdiccas I. 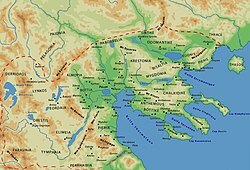 The kingdom was situated in the fertile alluvial plain, watered by the rivers Haliacmon and Axius, called Lower Macedonia, north of the mountain Olympus. Around the time of Alexander I of Macedon, the Argead Macedonians started to expand into Upper Macedonia, that is Eordaia, Bottiaea, Mygdonia, and Almopia– which were mountainous regions settled by independent Macedonian tribes. Near the modern city of Veria, Perdiccas I (or, more likely, his son, Argaeus I) built his capital, Aigai (modern Vergina). After a brief period under Persian rule under Darius Hystaspes, the state regained its independence under King Alexander I (495–450 BC). Prior to the 4th century BC, the kingdom covered a region approximately corresponding to the province of Macedonia of modern Greece. It became increasingly Atticised during this period, though prominent Athenians appear to have regarded the Macedonians as uncouth. A unified Macedonian state was eventually established by King Amyntas III (c. 393–370 BC), though it still retained strong contrasts between the cattle-rich coastal plain and the fierce isolated tribal hinterland, allied to the king by marriage ties. They controlled the passes through which barbarian invasions came from Illyria to the north and northwest. Amyntas had three sons; the first two, Alexander II and Perdiccas III reigned only briefly. Perdiccas III’s infant heir was deposed by Amyntas’ third son, Philip II of Macedon, who made himself king and ushered in a period of Macedonian dominance of Greece. Under Philip II, (359–336 BC), Macedon expanded into the territory of the Paionians, Thracians, and Illyrians. Among other conquests, he annexed the regions of Pelagonia and Southern Paionia. 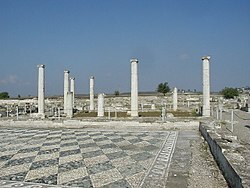 Macedon became more politically involved with the south-central city-states of Ancient Greece, but it also retained more archaic features like the palace-culture, first at Aegae (modern Vergina) then at Pella, resembling Mycenaean culture more than classic Hellenic city-states, and other archaic customs, like Philip’s multiple wives in addition to his Epirote queen Olympias, mother of Alexander. Kingdom of Macedon after Philip’s II death. Another archaic remnant was the very persistence of a hereditary monarchy which wielded formidable – sometimes absolute – power, although this was at times checked by the landed aristocracy, and often disturbed by power struggles within the royal family itself. This contrasted sharply with the Greek cultures further south, where the ubiquitous city-states mostly possessed aristocratic or democratic institutions; the de facto monarchy of tyrants, in which heredity was usually more of an ambition rather than the accepted rule; and the limited, predominantly military and sacerdotal, power of the twin hereditary Spartan kings. The same might have held true of feudal institutions like serfdom, which may have persisted in Macedon well into historical times. Such institutions were abolished by city-states well before Macedon’s rise (most notably by the Athenian legislator Solon‘s famous σεισάχθεια seisachtheia laws). In the 4th century BC, Macedon took part in the Amphictyonic League, which was an association of ancient Greek tribes formed to protect a specific temple or sacred place. In 356 BC, when Phocians captured and sacked Delphi and a sacred war was declared against them, they were expelled from the league, and their two votes were given to Macedonians who had helped to defeat them. Antipater and his son Cassander gained control of Macedonia but it slid into a long period of civil strife following Cassander’s death in 297 BC. It was ruled for a while by Demetrius I (294–288 BC) but fell into civil war. Demetrius’ son, Antigonus II (277–239 BC), defeated a Galatian invasion as a condottiere, and regained his family’s position in Macedonia; he successfully restored order and prosperity there, though he lost control of many of the Greek city-states. He established a stable monarchy under the Antigonid dynasty. Antigonus III (239–221 BC) built on these gains by re-establishing Macedonian power across the region. Under Philip V of Macedon (221–179 BC) and his son Perseus of Macedon (179–168 BC), the kingdom clashed with the rising power of the Roman Republic. 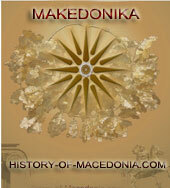 During the 2nd and 1st centuries BC, Macedon fought a series of wars with Rome. Two major losses that led to their inevitable defeat were in 197 BC when Rome defeated Philip V, and 168 BC when Rome defeated Perseus. The overall losses resulted in the defeat of Macedon, the deposition of the Antigonid dynasty and the dismantling of the Macedonian kingdom. Andriscus‘ brief success at reestablishing the monarchy in 149 BC was quickly followed by his defeat the following year and the establishment of direct Roman rule and the organization of Macedon as the Roman province of Macedonia. The Vergina Sun, the 16-ray star covering what appears to be the royal burial larnax of Philip II of Macedon, discovered in Vergina, Greece. The king (Βασιλεύς, Basileús) headed the central administration: he led the kingdom from its capital, Pella, and in his royal palace was conserved the state’s archive. 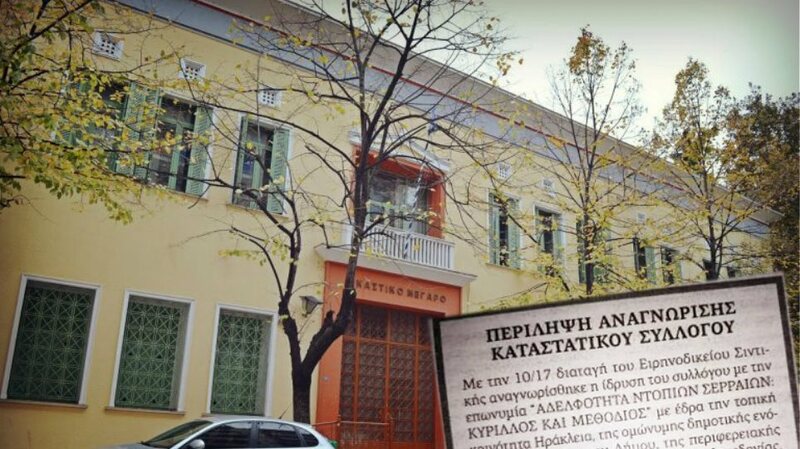 He was helped in carrying out his work by the Royal Secretary (βασιλικὸς γραμματεύς, basilikós grammateús), whose work was of primary importance, and by the Council. The king was the simple guardian and administrator of the treasure of Macedon and of the king’s incomes (βασιλικά, basiliká), which belonged to the Macedonians: and the tributes that came to the kingdom thanks to the treaties with the defeated people also went to the Macedonian people, and not to the king. 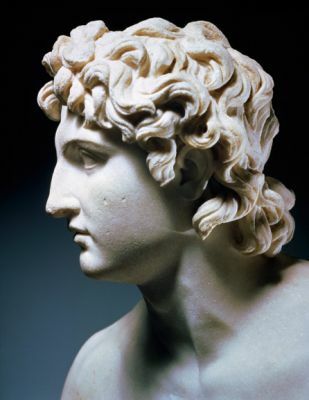 Even if the king was not accountable for his management of the kingdom’s entries, he may have felt responsible to defend his administration on certain occasions: Arrian tells us that during the mutiny of Alexander’s soldiers at Opis in 324 BC, Alexander detailed the possessions of his father at his death to prove he had not abused his charge. The most common way to exploit these different sources of income was by leasing: the Pseudo-Aristotle reports in the Oeconomica that Amyntas III (or maybe Philip II) doubled the kingdom’s port revenues with the help of Callistratus, who had taken refuge in Macedon, bringing them from 20 to 40 talents per year. To do this, the exploitation of the harbour taxes was given every year at the private offering the highest bidding. It is also known from Livy that the mines and the forests were leased for a fixed sum under Philip V, and it appears that the same happened under the Argaead dynasty: from here possibly comes the leasing system that was used in Ptolemaic Egypt. Except for the king’s properties, land in Macedon was free: Macedonians were free men and did not pay land taxes on private grounds. 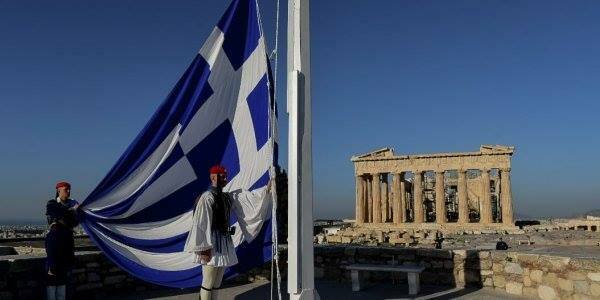 Even extraordinary taxes like those paid by the Athenians in times of war did not exist. Even in conditions of economic peril, like what happened to Alexander in 334 BC and Perseus in 168 BC, the monarchy did not tax its subjects but raised funds through loans, first of all by his Companions, or raised the cost of the leases. All the kingdom’s citizen-soldiers gather in a popular assembly, which is held at least twice a year, in spring and in autumn, with the opening and the closing of the campaigning season. This assembly (koinê ekklesia or koinon makedonôn), of the army in times of war, of the people in times of peace, is called by the king and plays a significant role through the acclamation of the kings and in capital trials; it can be consulted (without obligation) for the foreign politics (declarations of war, treaties) and for the appointment of high state officials. In the majority of these occasions, the Assembly does nothing but ratify the proposals of a smaller body, the Council. It is also the Assembly which votes the honors, sends embassies, during its two annual meetings. 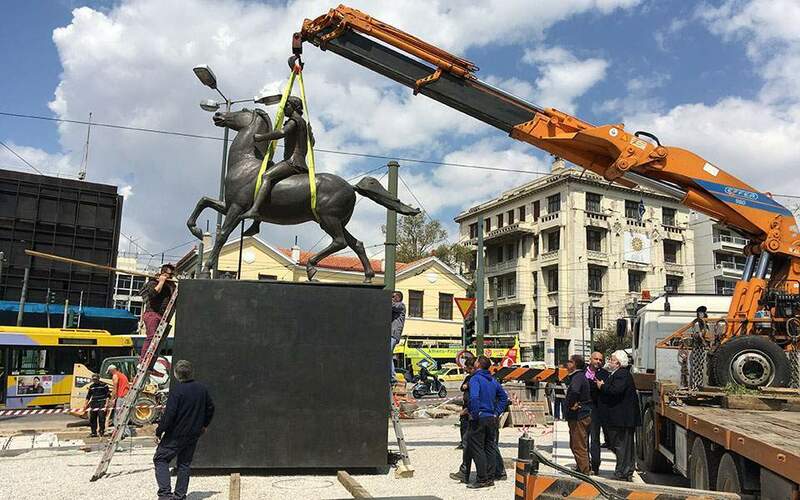 It was abolished by the Romans at the time of their reorganization of Macedonia in 167 BC, to prevent, according to Livy, that a demagogue could make use of it as a mean to revolt against their authority. The somatophylakes (in Greek literally “bodyguards”) were noble Macedonians chosen by the king to serve to him as honorary bodyguards, but especially as close advisers. It was a particularly prestigious honorary title. In the times of Alexander there were seven of them. The Friends (philoi) or the king’s Companions (basilikoi hetairoi) were named for life by the king among the Macedonian aristocracy. The king had in reality less power in the choice of the members of the Council than appearances would warrant; this was because many of the kingdom’s most important noblemen were members of the Council by birth-right. After the removal of the Antigonid dynasty by the Romans in 167 BC, it is possible that the synedrion remained, unlike the Assembly, representing the sole federal authority in Macedonia after the country’s division in four merides. The creation of an intermediate territorial administrative level between the central government and the cities should probably be attributed to Philip II: this reform corresponded with the need to adapt the kingdom’s institutions to the great expansion of Macedon under his rule. 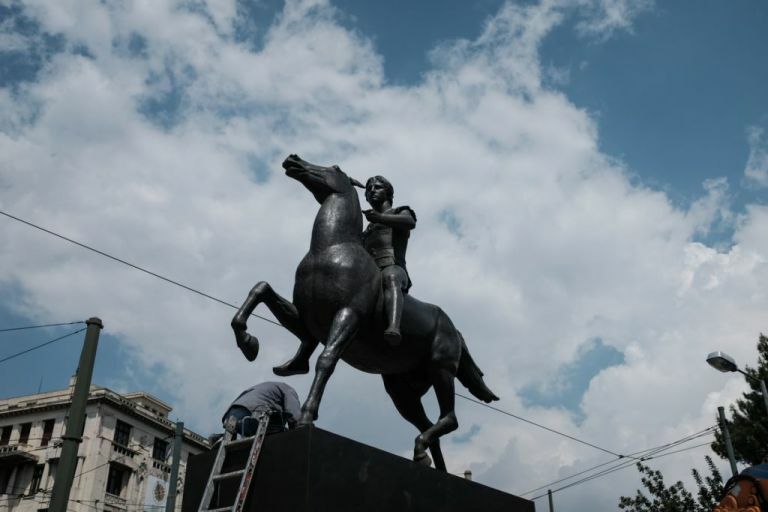 It was no longer practical to convene all the Macedonians in a single general assembly, and the answer to this problem was the creation of four regional districts, each with a regional assembly. These territorial divisions clearly did not follow any historical or traditional internal divisions; they were simply artificial administrative lines.